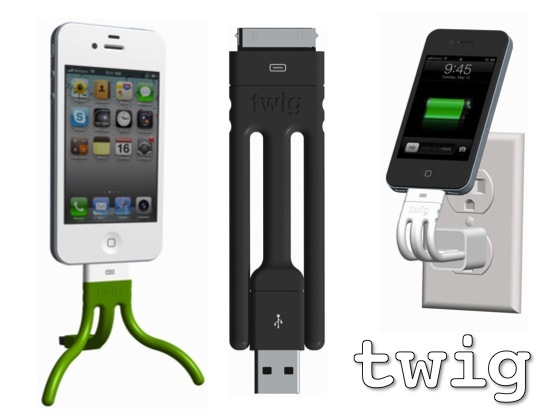 One day last May I bumped into an interesting thing on Kickstarter: Twig: the amazing ultra-portable cable for your iPhone. I am pretty skeptical of Kickstarter projects in general, not because I think the people behind said projects are out to rip me off, but because all sorts of unforeseen things tend to pop up during product development and I don’t get the feel that the people behind these projects take those into account. But heck, this is no Bluetooth enabled e-ink watch. It’s a freaking cable inside a rubber casing. How hard can it be? Quite hard, it turns out. Almost six months later, I finally received my Twig. Six months. Never mind that between my “pledge” and the Twig actually arriving I upgraded to a new phone that is incompatible with it. Never mind. Never… mind. Basically, it’s what you’d expect the offspring of Gumby and an iPhone cable to look like. 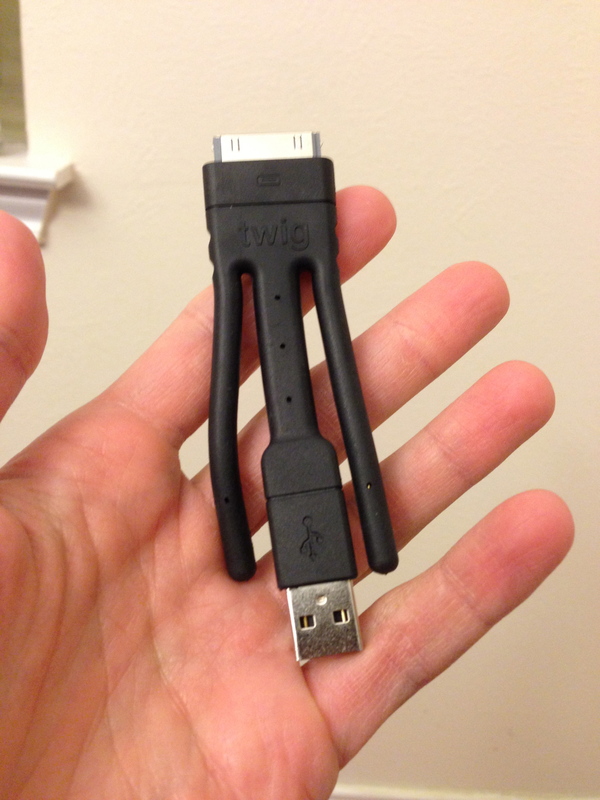 An obsolete iPhone cable, that is. One that doesn’t fit my phone and is barely stiff enough to hold the phone’s weight. Apoye un proyecto en diciembre pasado que se iba a terminar en marzo. Llego la semana pasada, sólo fueron 7 meses de retraso… Pero los vídeos que ponen están padres.